Most homes, particularly ones constructed on the rocky terrain in northern Alabama, are rarely built on level ground. During construction of a home and the pouring of the home’s foundation, it is generally called for that the property is graded and excavated to allow the concrete to settle into a slope properly. This typically calls for removal of dirt and sometimes rock to allow for the proper accommodations for a new home’s foundation. Natural settling can sometimes cause issues in these cases. Over time, it is likely that your home has settled in and you may have some problems with windows and doors sticking, or you may notice walls bowing slightly out of square. That is where the professionals can step in and help you get a grasp on the seriousness of your problem. In many cases, natural settling occurs without any major setbacks or repairs. If that’s the case, you can count on our honesty up front. Northern Alabama foundation services performed by Foundation Repairs & Home Improvements are superior in quality, honesty and customer service you can rely on. How Is a Foundation Constructed? When constructing a concrete foundation there are many steps involved. Since the foundation is the most important point of contact between your home and the ground, it needs to be done right the first time! Step one in laying a foundation involves pouring footings into a form, leveling the cement, and allowing to properly cure. Usually within 24 hours, the forms can be removed and the concrete is set. With the foundation in place, engineers map specific supporting factors to evenly distribute the weight of the home, according to plan, and construction moves forward. An average size home is about 1600 square feet. Fully constructed weight of that home is typically over 150 tons! That’s a big load on your foundation. 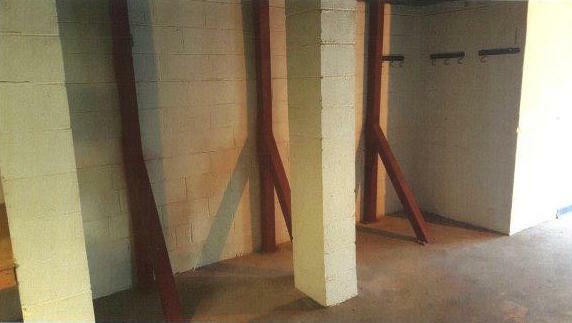 In northern Alabama foundation services are relied upon to make sure that foundation is strong enough to withstand all that weight. And when something doesn’t quite go to plan, usually years down the road, they call a foundation repair company in to fix the problem. 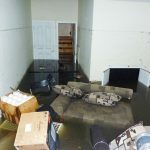 As one of the original foundation repair companies in Alabama, Foundation Repairs & Home Improvements has served the entire state of Alabama for over 30 years. 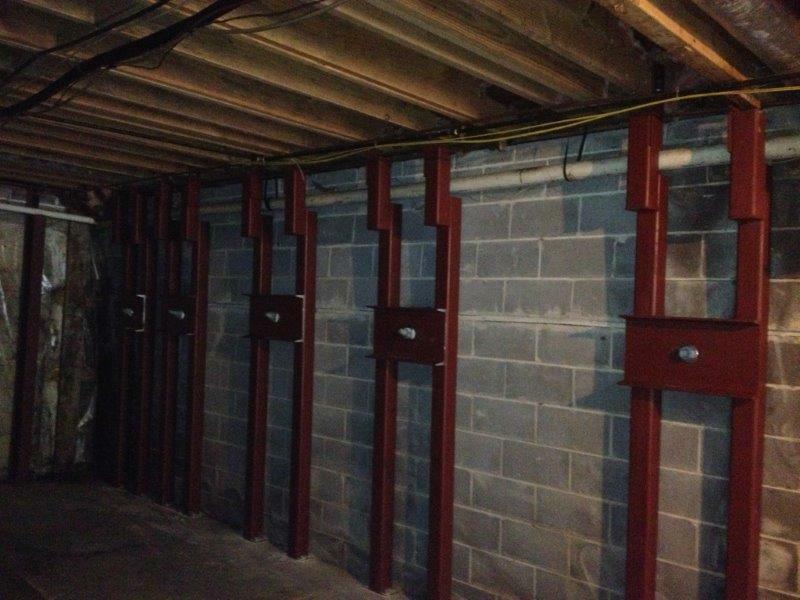 The foundation services we offer include solutions like helical piers, wall braces, and helical tie backs. We also perform consultations, inspections, and full assessments for our customers. 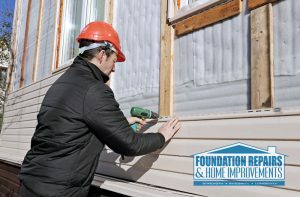 Because of the extreme weight of a home, the foundation can suffer over time. Eventually, cracks will present themselves on the outside, especially with a home constructed of brick, as the house settles. Weak points will develop and these settlement signs that present themselves on the exterior point to those weaknesses. It shouldn’t cause alarm, but it also shouldn’t be overlooked. 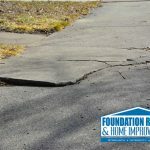 These issues can be repaired with long-term foundation solutions. Many people are unaware that concrete expands and contracts with weather changes. Repairing cracks yourself or hiring someone who is not experienced with foundation issues is like putting a band-aid on a deep cut that actually needs stitches. Until you fix the root of the problem, it will continue to come back time and time again. The professionals here at Foundation Repairs & Home Improvement stand ready when the need arises. You can count on a no hassle, no pressure consultation, competitive pricing, and honest, up-front solutions. 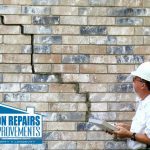 Our foundation repair experts are trained technicians who focus on foundation repair and foundation services solely. 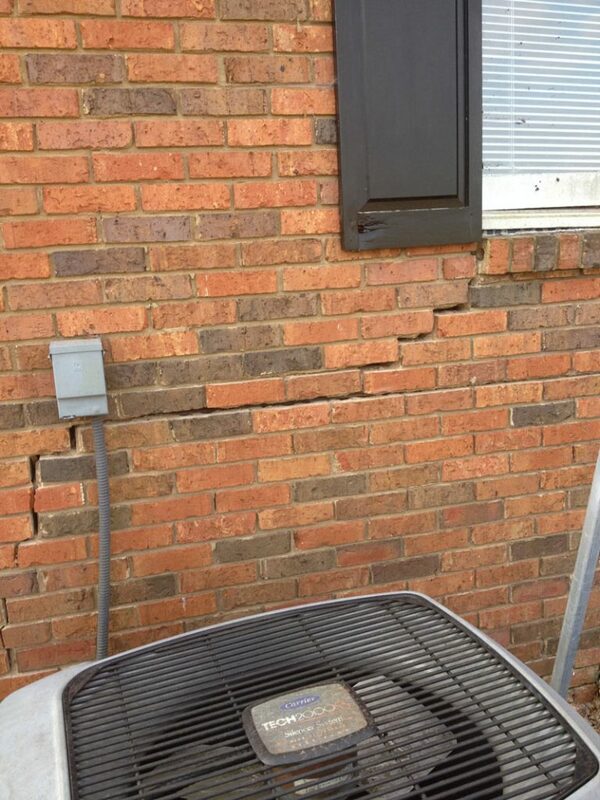 With an inspection, we can determine the extent of damage and the repairs, if any, that are needed. If your home suffers from foundation damage, give us a call or drop us a message on the form below. Our free consultation and quote service will give you an idea of exactly how to move forward. Serving northern and central Alabama, Foundation Repairs & Home Improvements are the ideal team for you. Don’t let unsightly exterior cracks, or any interior damage ruin the appeal of your home. We look forwarding to serving you soon!